Bill Atkins is the former owner of a limo company. 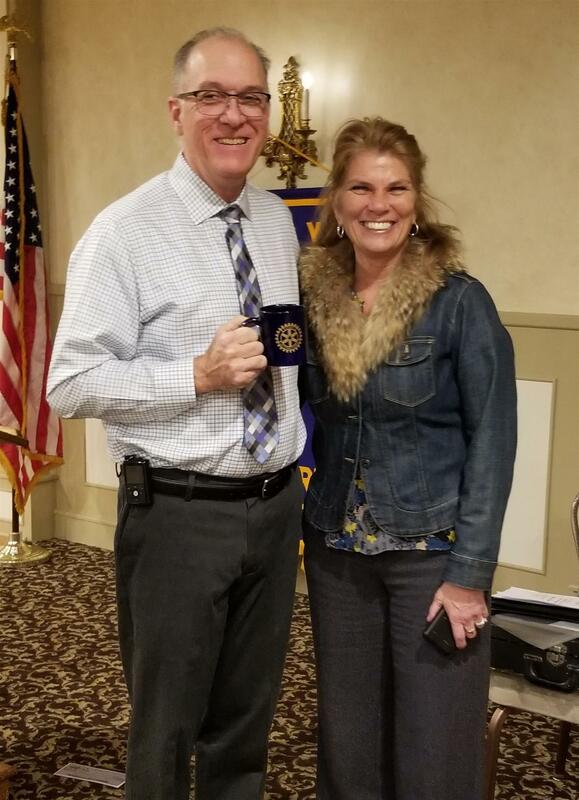 During his business journey’s ups and downs, he learned many things about marketing and advertising that he shared with our Rotary. He learned that advertising yourself as “we are the cheapest” doesn’t get you the customers that you need to sustain a business. For example: Apple is not the cheapest computer products, but customers who buy into Apple products are devoted Apple users. Bill learned that presenting your product as unique and different from similar products is how you capture the attention of the user. Kohl’s doesn’t give their customers coupons, they give them Kohl’s cash. Is there a difference? Maybe not, but the word “cash” captures the attention of the customer and brings them into the store quicker than a coupon would. Bill has taken what he’s learned and now that he’s “retired” is sharing this knowledge with businesses free-of-charge. You can reach him at bill@billatkinsmarketing.com or 732.496.8400. Sidebar: Bill is active in Toastmasters, an international non-profit educational organization that teaches public speaking and leadership skills. Bill would be happy to share more about this organization as well.